Your backlog will no longer shame you. Steam is giving you the ability to finally do something that many have wanted for a while- the ability to permanently remove games from your library. Not just hide them or organize them into some sub folder, outright delete them so that, as far as Steam is concerned, you never owned them to begin with. They’ll be gone from your library as if they were never there. In the past, this has, believe it or not, been an issue- people often amass lots of games they never intend on playing, either because of the firesale prices during a Steam sale, or because many games come in bundles during promotions like Humble Bundles. Those games then just sit there in their libraries, cluttering them up. This new feature finally allows people to get rid of those games. 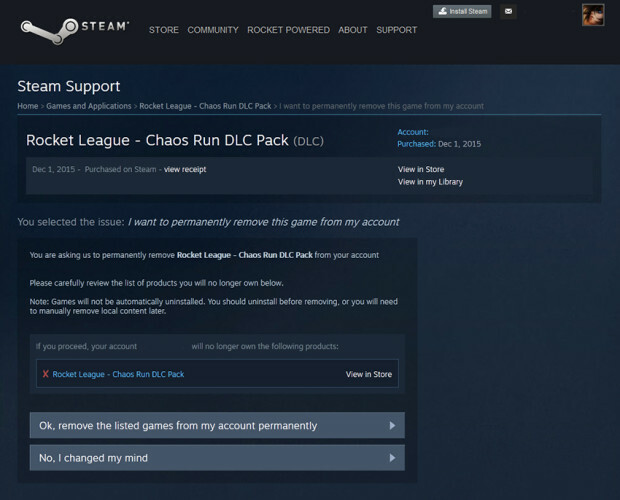 Of course, if they do, then, since as far as Steam is concerned, you never bought them, you would need to rebuy them. So be careful when you do this- with great power comes great responsibility.